The periodic table of elements indicates all elements that have been discovered on earth. These metals can be classified into different categories according to the similarities in their properties. However, the major way of categorizing these elements is according to the degree of metallic properties they display. Elements are categorized into metals, nonmetals and metalloids according to this classification. A metal is an element which is typically hard, shiny, fusible, malleable, and ductile, with good electrical and thermal conductivity. A nonmetal is an element that does not have the properties of a metal. A metalloid is an element having intermediate properties of both metals and nonmetals. This is the main difference between metals nonmetals and metalloids. Metals are elements having the highest degree of metallic behavior. Metals are found in the left side of the periodic table. They have a characteristic metallic appearance known as luster or shine. Ductility and malleability is a main feature of metals. Malleability refers to a metal’s ability to deform under pressure and ductility refers to its ability to be drawn into wire-like structures. Metals are usually solids at room temperature. But mercury is an exception. Although Mercury is a metallic element, it is a liquid at room temperature because all other metals usually have higher melting points. Unlike other metal atoms, mercury atoms are weak at sharing electrons with each other, so they have weak interactions. Therefore, mercury atoms can easily escape, resulting in a lower melting point. 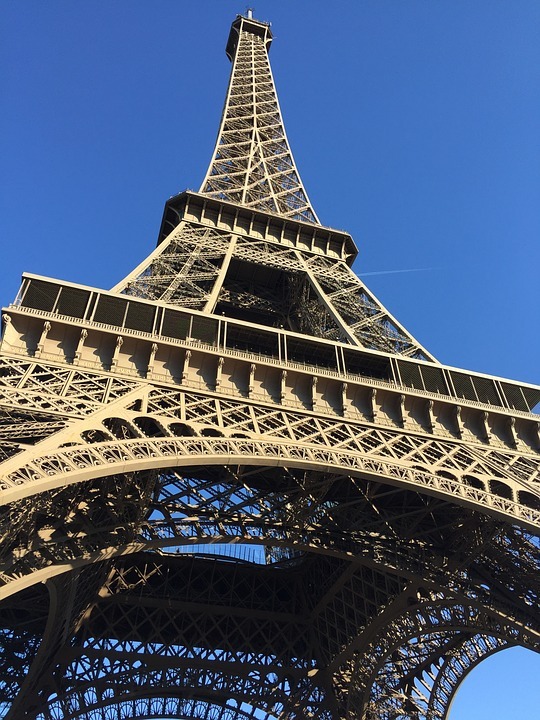 Figure 1: The Eiffel Tower – Made out of metals. Metals are excellent heat and electrical conductors because readily lose electrons which have the ability to participate in conducting electricity. In other words, metals have free electrons. Metals normally undergo corrosion under moist conditions and in the presence of salt water. In the periodic table, metal elements are found in all s, p, d and f blocks. Metals have less number of electrons in their outermost s and p orbitals (except for few metals). Normally metals can form cations and their oxidation numbers are nearly always positive values. Metals also show very low electronegative values and form ionic compounds. Nonmetals are elements showing less or no metallic properties. Nonmetals have very distinct properties than those of metals and metalloids. Typically nonmetals have a dull appearance since they do not have a metallic appearance. Unlike metals, nonmetals are not malleable or ductile. They are brittle. Nonmetal are poor conductors of electricity and heat. Compared to metals, nonmetals are less dense. Most of the nonmetals are gases. But there are liquids and solids too. Nonmetals are included in the right side of the periodic table. These nonmetals are included in the s and p blocks. These elements have a high number of electrons in the outermost s and p orbitals. They have no or few free electrons. Nonmetals have very low melting points. They tend to form anions by gaining electrons. They form covalent compounds. The oxidation number of a nonmetal can be either positive or negative. Electronegativity is very high in nonmetals. Metalloids are elements having a low degree of metallic behavior. Metalloids show some metallic properties and some nonmetal properties. The appearance of metalloids can be either dull or shiny. Although they are not excellent thermal and electrical conductors, metalloids are capable of conducting heat and electricity. The major application of metalloids is in the production of semiconductors. All metalloids are solids at room temperatures. The density of metalloids is in between metals and nonmetals. They are brittle. Metalloids are placed in p block in the periodic table. These elements are positioned in between metals and nonmetals in the periodic table. The number of electrons in the s and p orbitals is a medium number. Metalloids form covalent bonds. Therefore, metalloids are found in covalent compounds. 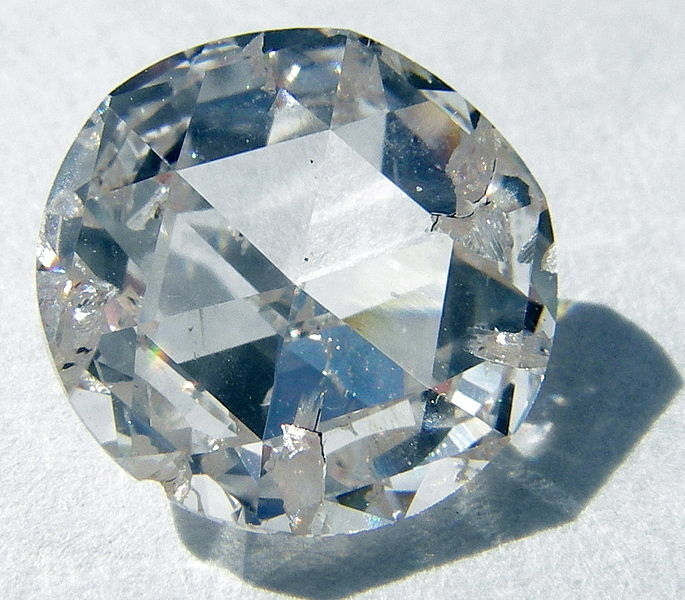 Since metalloids are solids in room temperature, they have high melting points. In aqueous solutions, metalloids form anions and show positive or negative oxidation numbers. Metals: Metals are elements having the highest degree of metallic behavior. Nonmetals: Nonmetals are elements showing less or no metallic properties. Metalloids: Metalloids are elements having a low degree of metallic behavior. 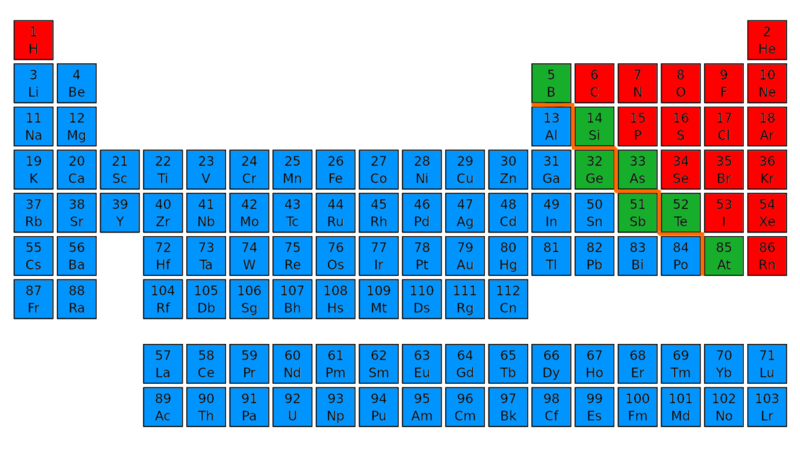 Metals: Metals are found in the left side of the periodic table. Nonmetals: Nonmetals are found in the right side f the periodic table. Metalloids: Metalloids are found in the middle of the periodic table. Metals: Metals are located in s, p, d and f blocks. Nonmetals: Nonmetals are found in s and p blocks. Metalloids: Metalloids are found in p block. Metals: Metals have a shiny appearance. Nonmetals: Nonmetals have a dull appearance. Metalloids: Metalloids have a dull or shiny appearance. Metals: Metals show malleability and ductility. Nonmetals: Nonmetals do not show malleability and ductility. 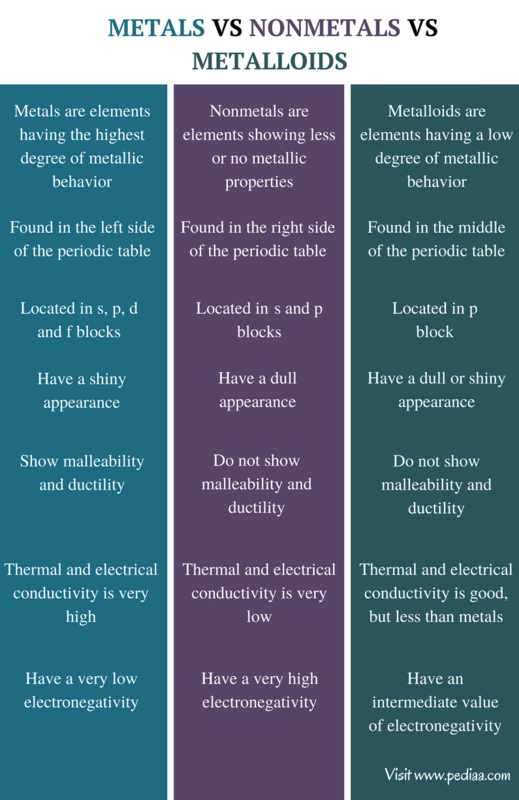 Metalloids: Metalloids do not show malleability and ductility. Metals: Thermal and electrical conductivity of metals is very high. Nonmetals: Thermal and electrical conductivity of nonmetals is very low. Metalloids: Thermal and electrical conductivity of metalloids is good but less than metals. Metals: Metals have a very low electronegativity. Nonmetals: Nonmetals show a very high electronegativity. Metalloids: Metalloids have an intermediate value of electronegativity. Metals, nonmetals and metalloids are elements that are found in the earth. Most of these elements are used in various applications. The main difference between metals nonmetals and metalloids is that metals show the highest degree of metallic behavior and nonmetals do not show metallic behavior whereas metalloids show some degree of metallic behavior. 1. Helmenstine, Ph.D. Anne Marie. “Metals Nonmetals and Metalloids – Periodic Table.” ThoughtCo. N.p., n.d. Web. Available here. 26 June 2017. 2. Libretexts. “Metals, Nonmetals, and Metalloids.” Chemistry LibreTexts. Libretexts, 25 Oct. 2016. Web. Available here. 26 June 2017. 3. Boudreaux, Kevin A. “Metals, Nonmetals, and Metalloids.” The Parts of the Periodic Table. N.p., n.d. Web. Available here. 26 June 2017.